Good morning, Maharanis! I hope you're ready for some pre-wedding fun! 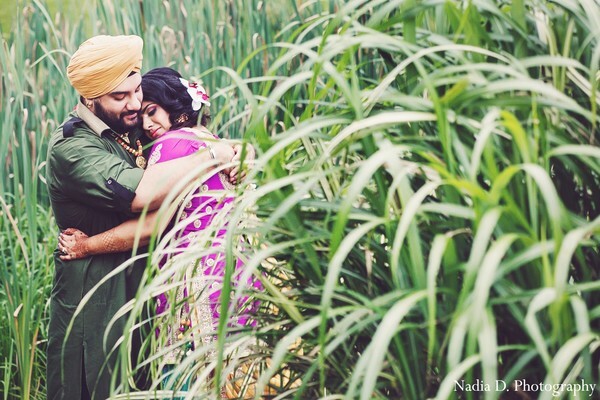 Nadia D Photography is behind the scenes as these lovebirds embrace their proud Punjabi roots at their sangeet! 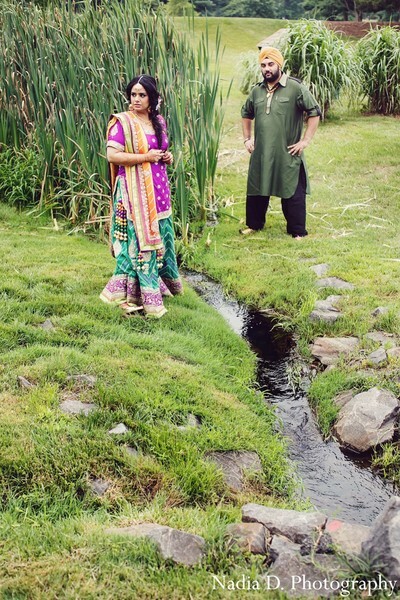 Maharani Anika charms in her gorgeous lengha made in Jaipur using very intricate zari hand embroidery while Raja Lucky dons an army green kurta as they pose for some precious outdoor portraits. 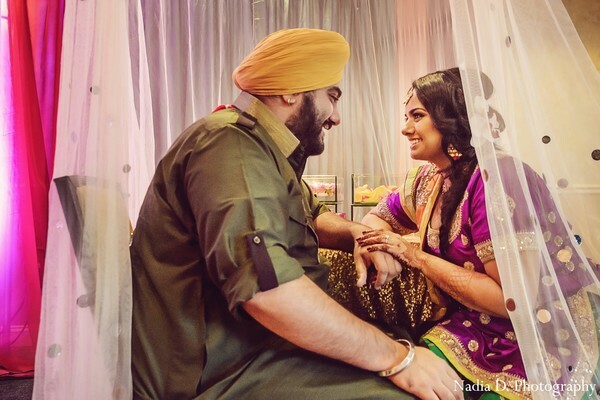 I could totally see this couple in a old school Punjabi music video, they definitely brought their classic vision to life! 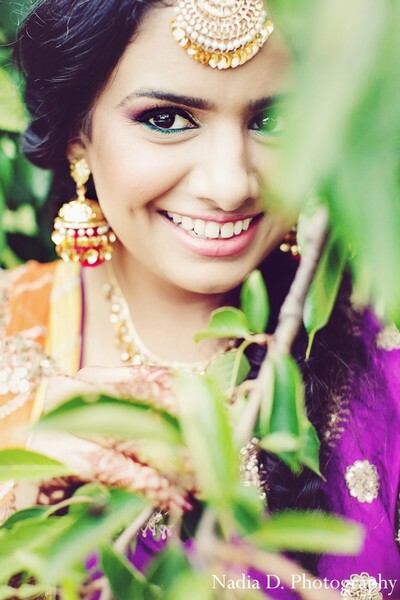 At the venue, Envi Event Planning and Sarah Khan Event Styling bring a bounty of color to the scene while these soon-to-be newlyweds entertain guests with lots of dancing and good eats! 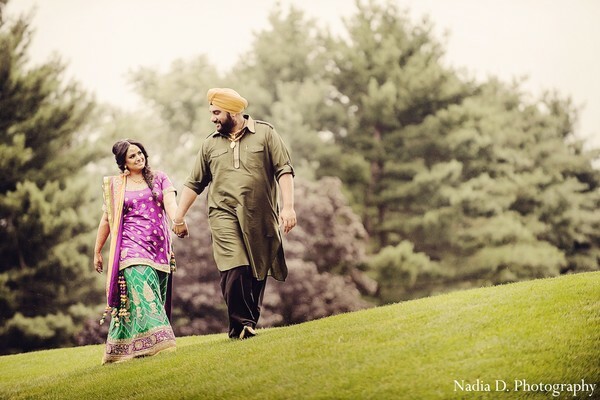 Check out every bit of happiness and heritage over at the gallery! 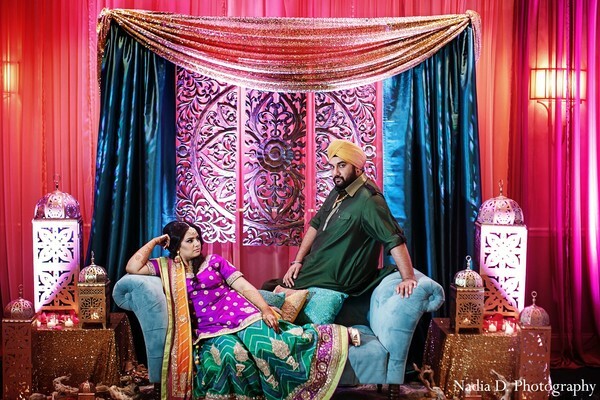 From the bride: "Our sangeet was held at a country club and I wanted to create a really old school Punjabi vibe for this event, but keeping it polished and elegant. We served traditional Punjabi cuisine (from IndAroma) that's typical along the border/frontier regions where my dad's from. 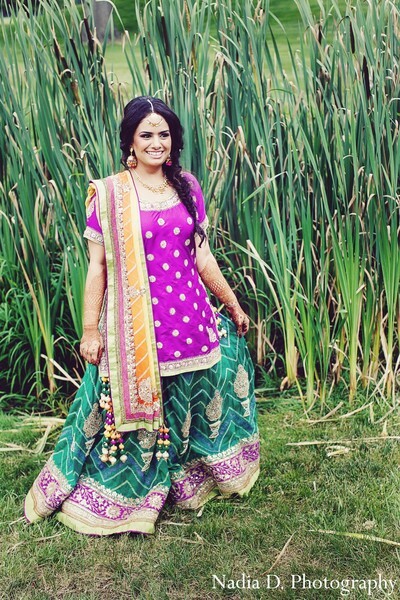 We played only old school Punjabi music, my Giddha team performed and provided traditional sweet to everyone and had a mendhi artist on hand." 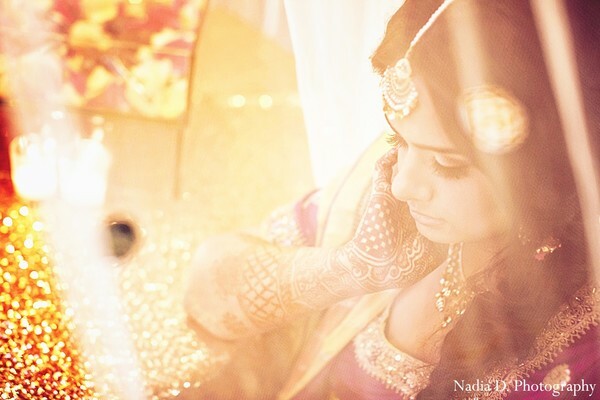 Next up, the bride is perfect in pink as she gets ready for her big day! 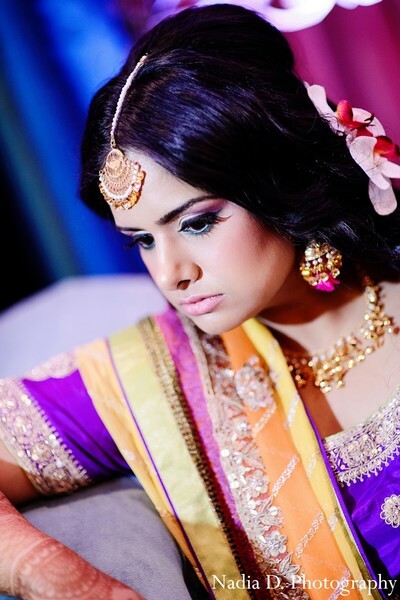 Envi Event Planning and IndAroma are members of the Platinum Guide. Love what you see? Explore their portfolios.